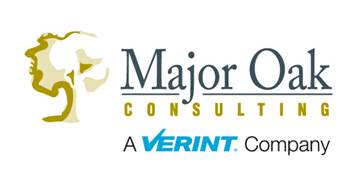 Major Oak Consulting is a boutique management consulting firm with a wide range of capabilities including process excellence and lean/six sigma, business strategy, customer experience and journey mapping, performance management, project and program management, and contact center optimization. Major Oak’s goal is to deliver smart, tailored, and creative solutions that effectively enable our clients to achieve their full potential. We have brought organizational success and efficiencies to companies in a variety of industries, including finance, insurance, IT, technology, health care, HR and talent management, restaurant service, and government agencies at the federal and state level. Our acquisition by Verint Systems, the leader in customer engagement analytics solutions, has allowed us to pair our consulting solutions with leading edge customer experience reporting and data collection, providing us a with a holistic approach and solution to developing customer facing strategies and improvements. Our unique approach to marrying customer experience strategy and insights with process mapping and improvement along with Verint software solutions provides us with a market leading niche in the process improvement field.